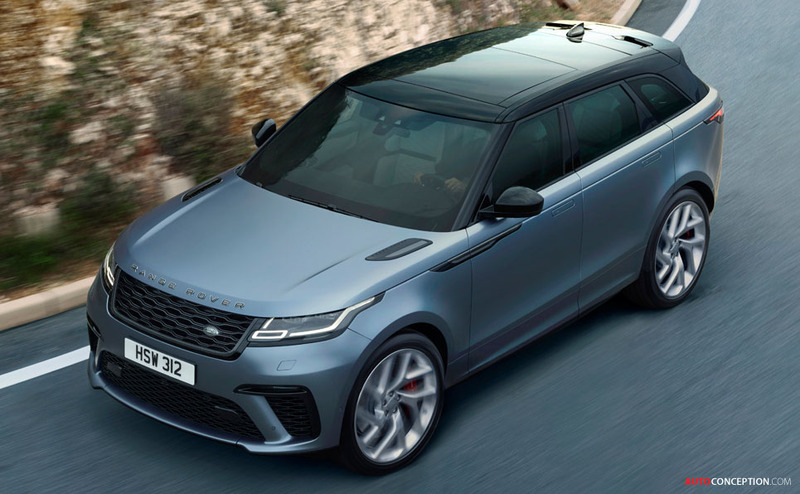 Reigning World Design Car of the Year, the Range Rover Velar has been given a performance and luxury boost with the introduction of the ‘SVAutobiography Dynamic Edition’ – a new range-topping model that will only be available to buy for one year. 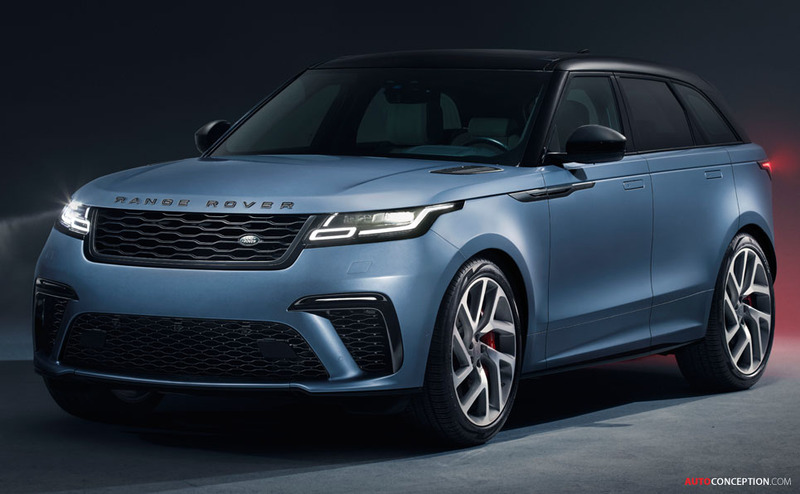 Developed by Land Rover Special Vehicle Operations, external design revisions include a new front bumper with larger air intakes as well as a new grille and lower side mouldings, while at the back a reshaped rear bumper features integrated quad exhaust finishers. 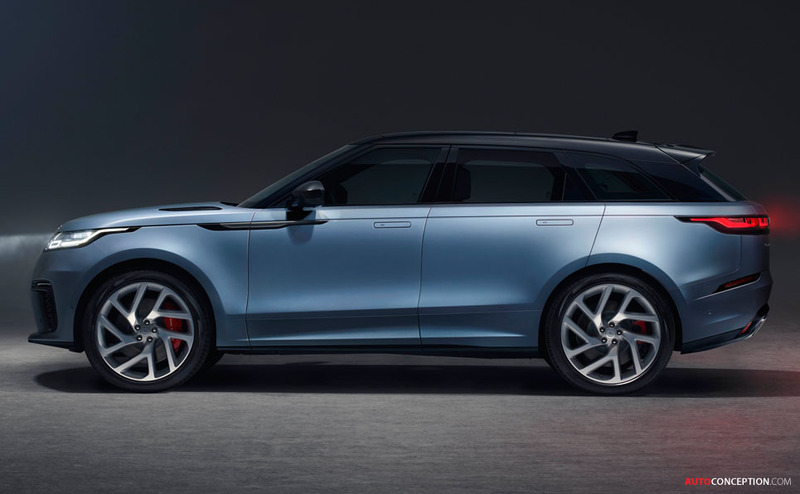 It also sits on 21-inch wheels that are claimed to weigh the same as the 20-inch wheels on the core model – and behind the rims sit larger brakes measuring 395 mm up front and 396 mm at the rear. For aerodynamic purposes, the exterior changes combine with a transmission tunnel undertray to ensure the car cuts through the air more efficiently. 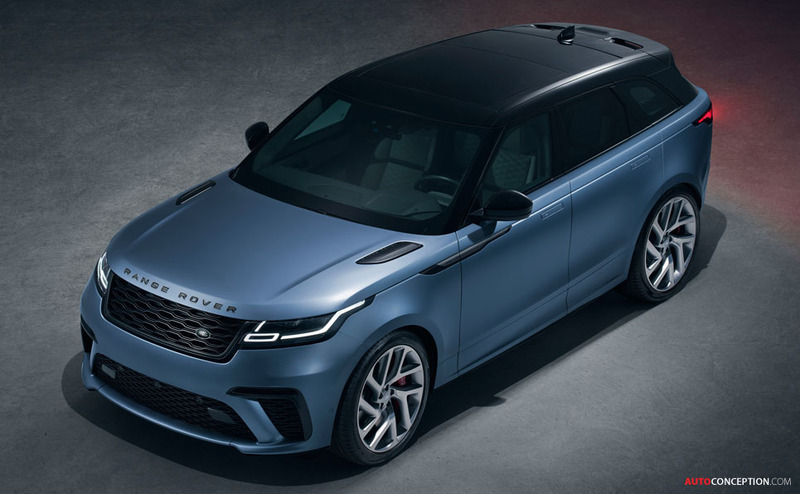 The SVAutobiography Dynamic Edition is also the only Velar available in “Satin Byron Blue”, which is paired with a contrasting “Narvik Black” roof as standard. 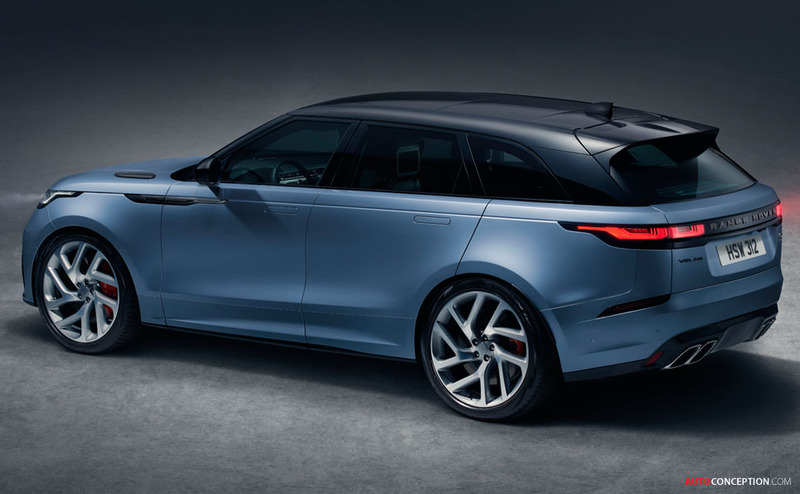 Under the bonnet, the new model is powered by a 542 bhp 5.0-litre V8 supercharged engine to make it the most powerful Velar ever; it accelerates from 0-62 mph in 4.5 seconds (0-60 mph in 4.3 seconds) and is capable of a top speed of 170 mph. 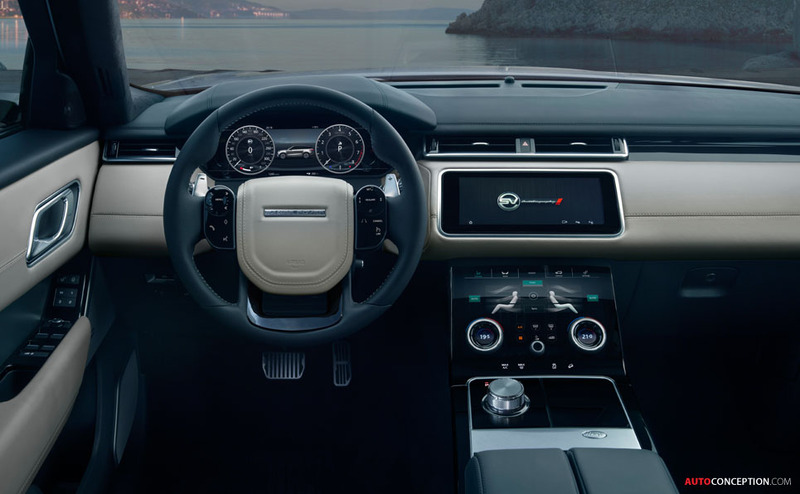 Calibrations for the AWD system, active rear locking differential, eight-speed transmission, steering and air suspension have also all been revised and are bespoke to the SVAutobiography Dynamic Edition. 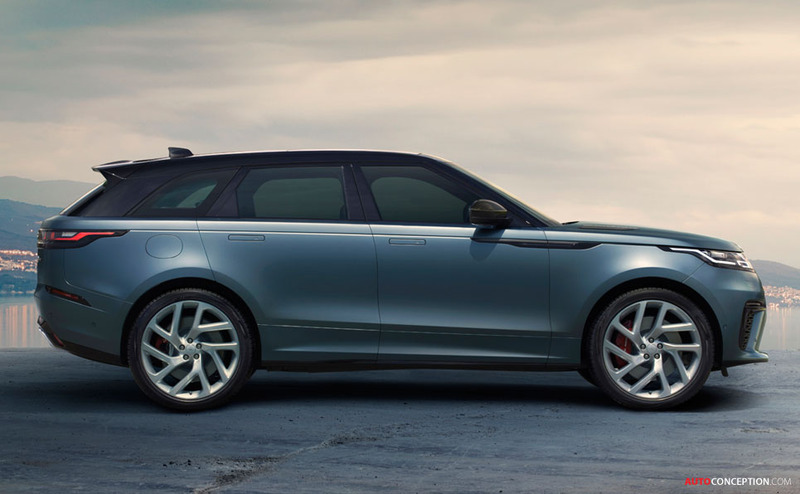 A custom exhaust set-up is further claimed to weigh 7.1 kg lighter than the standard design.